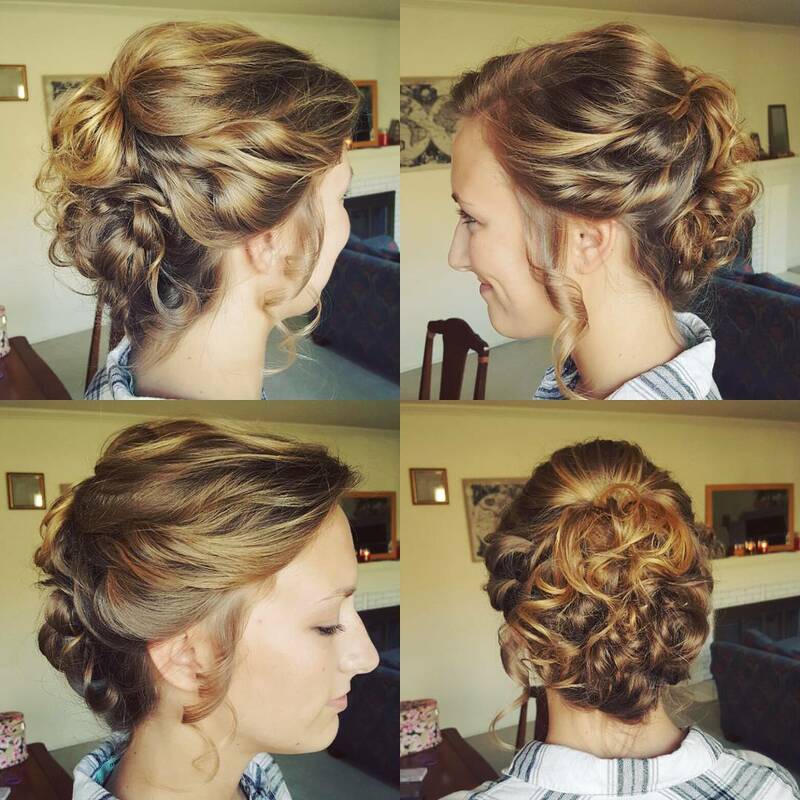 Choosing the right prom hairstyles is one of the most important decisions of your life! It’s best to choose a prom hairdo that won’t overwhelm your personality or make you feel out-of-place in any way. The most important thing is to be yourself, so you can relax and enjoy the social side of your end-of-year party! So whether you’re a pink-haired extrovert, an elegant type, a boho trend-setter, a nature-girl or any other type of gal – we’ve got you covered. You’re sure to find a fab new look in this amazing gallery of hot prom hairstyles for short to medium hair! Be unforgettable and feature in everyone’s party selfies! 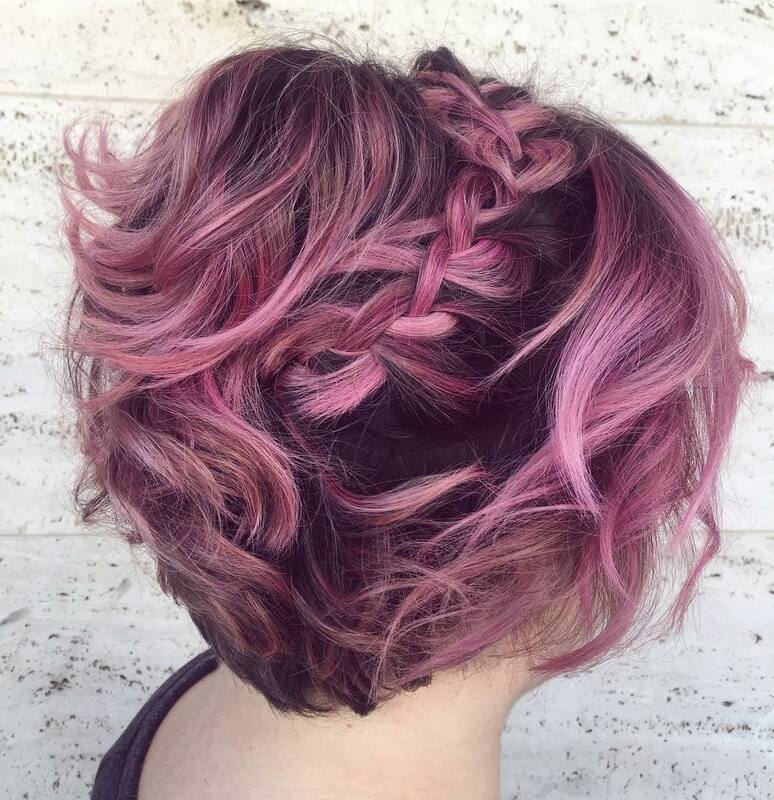 Liven up dark hair with this eye-catching blend of trendy raspberry and plum on a short layered hairdo. The clever braided band creates super texture and color patterning in a 3-D effect that makes hair look thicker. Notice the soft-copper highlights and pale-pink balayage on a gorgeously tousled style that will frame your face with casual, loose waves! Flat head braids are super-stylish and perfect for a decorative color band on fine or medium hair! This asymmetrical up-do is messy, so you can relax and enjoy yourself without worrying about loose strands! Loose ringlets frame and flatter the face, drawing attention to your eyes. And with crown height, loads of texture and a cute, cluster of curls at the back – this is a great ‘laid-back’ prom up-style! This feminine prom style is a classy, semi-formal look showing off gleaming golden-brown hair. You don’t need long hair to get this curly ‘pony-tail’ look, as the curly section is created on mid-length hair using hair-grips. Cute ringlets frame the face and textured twists at the sides side display the beautiful, medium-blonde colors perfectly! This lovely faux up-style looks youthful and natural! The fabulous swirly movement in this high-fashion, messy prom up-style projects a super-cool, carefree personality! This model’s hair looks great swept up casually to show-off a neck tattoo and lovely, warm brown roots, under dual-blonde highlights. With a cute 1950’s flower accessory, this trendy take on the vintage French roll up-style is packed with color, texture and individuality! Here’s a fantastic prom hairstyle for short to medium hair. 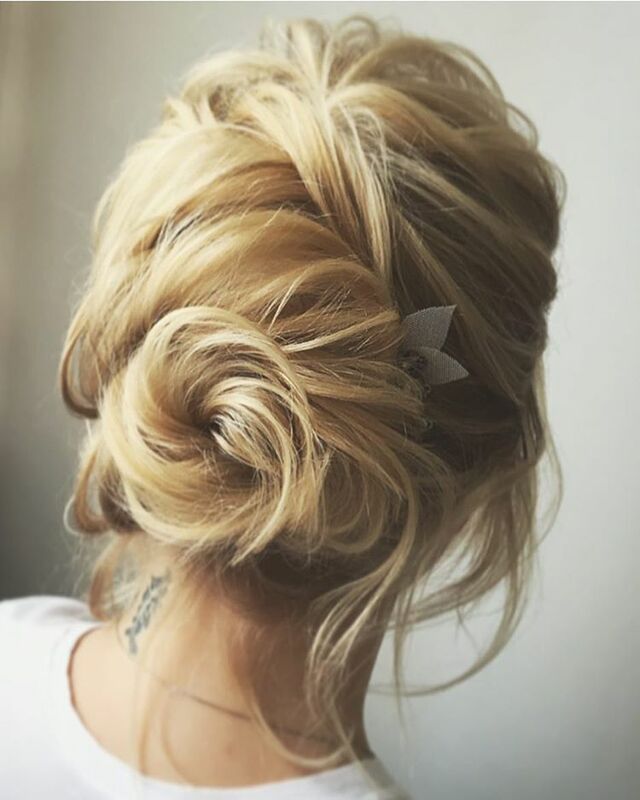 Who’d guess that a simple, strawberry-blonde cut could be styled in this modern up-do with a very chic vibe! Teasing creates 60’s vintage glamor on the crown, and adds volume to ‘random’ rolled sections decorating the back. 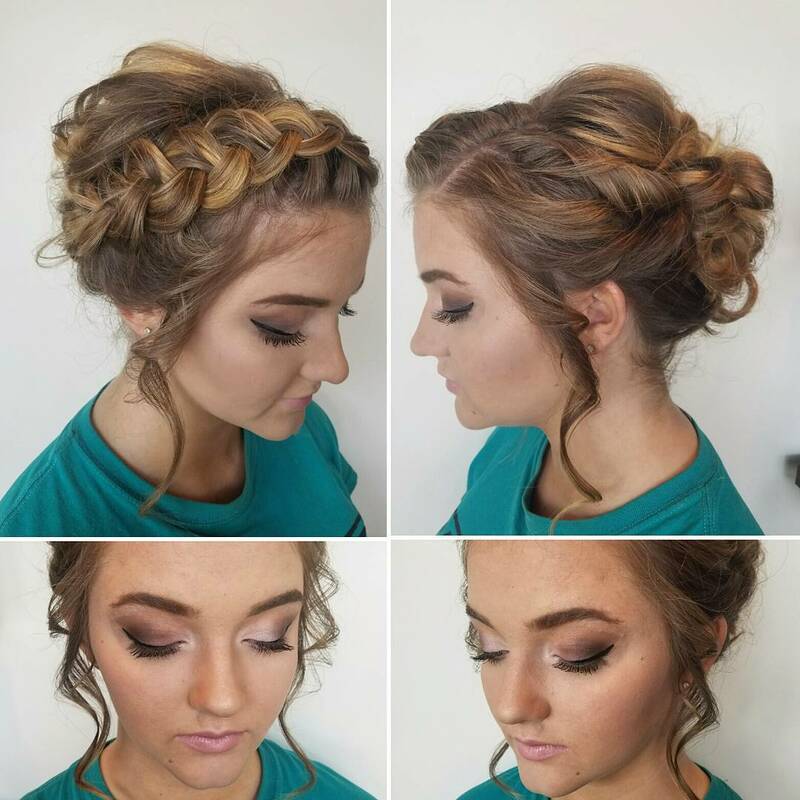 The finish is messy and uneven for a totally trendy prom hairstyle! Add shape, color and texture to medium-length hair for this high-fashion look! 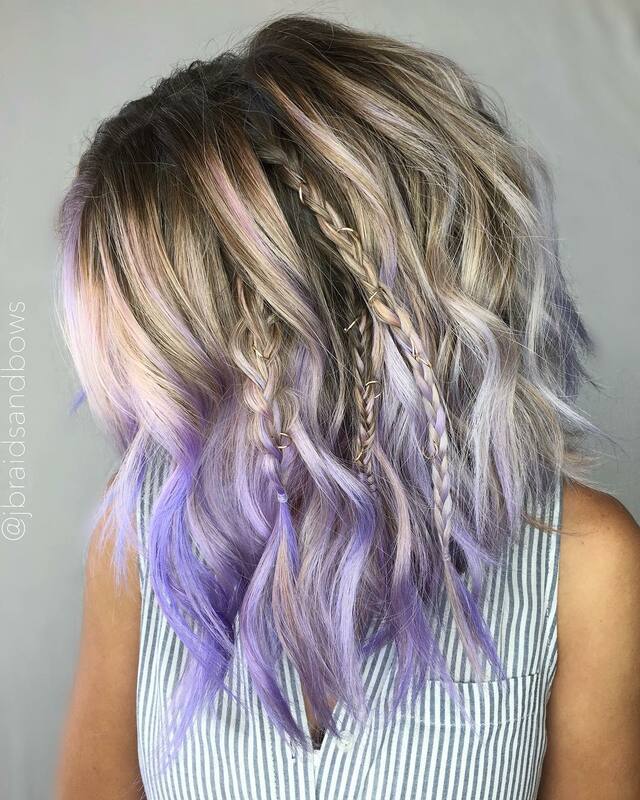 The rich, brown base has a little aubergine-purple in the mix to match the ash-blonde and beige dual-blonde highlights. These fashionable colors create beautiful patterning in the trendy, flat braid and defined waves for a teen party style that’s casual and well-groomed! We love this flirty prom hairstyle – it’s the perfect balance between curls, waves and smooth sections! It’s an original hairstyle, too and that’s another reason to choose it for your pretty, party look! 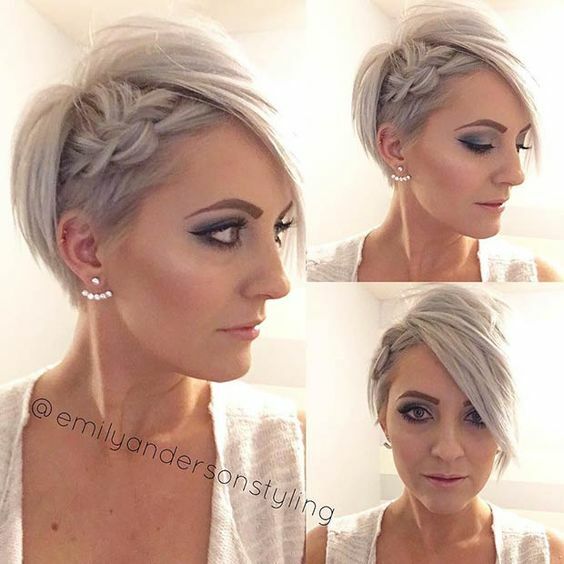 You can get this style on an angled bob with long lengths and a side parting. 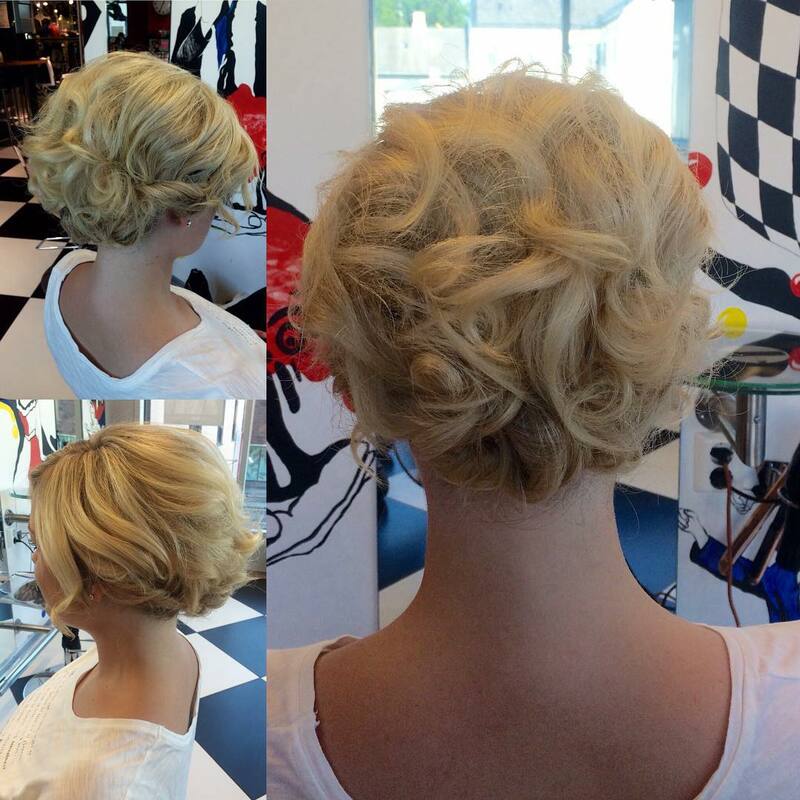 With twisted side sections and curly volume at the back, this is a gorgeous faux updo in trendy shades of ash-blonde! 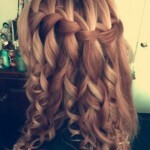 Here’s a fantastic, fusion hairstyle blending several fashion styles into a playful prom hairstyle. The super color-blend is futuristic with ash-brown and beige roots highlighted in pink and white. And the intense lavender ombré has peach and ashy highlights! Random braids, earring accessories and broken waves complete a choppy, long bob packed with individual, super-cool style! Now facial piercings are ‘out’, there are loads of unwanted ‘face-jewellery’ items around. So why not re-cycle them as quirky hair accessories! 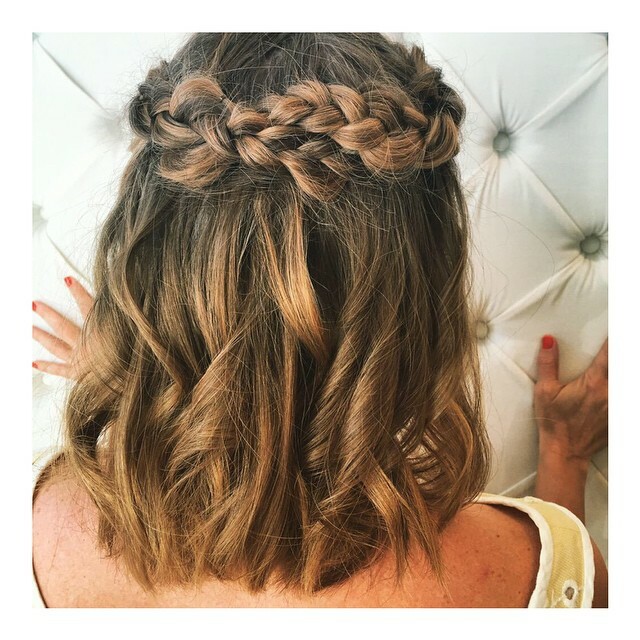 This chin-length bob has a cute head-braid – but decorated with ‘sleepers’ you get an edgy, new twist. On dark hair, you could beg or buy a cheap, gold-colored necklace and add that to a head braid for a hot prom look! Use your imagination! 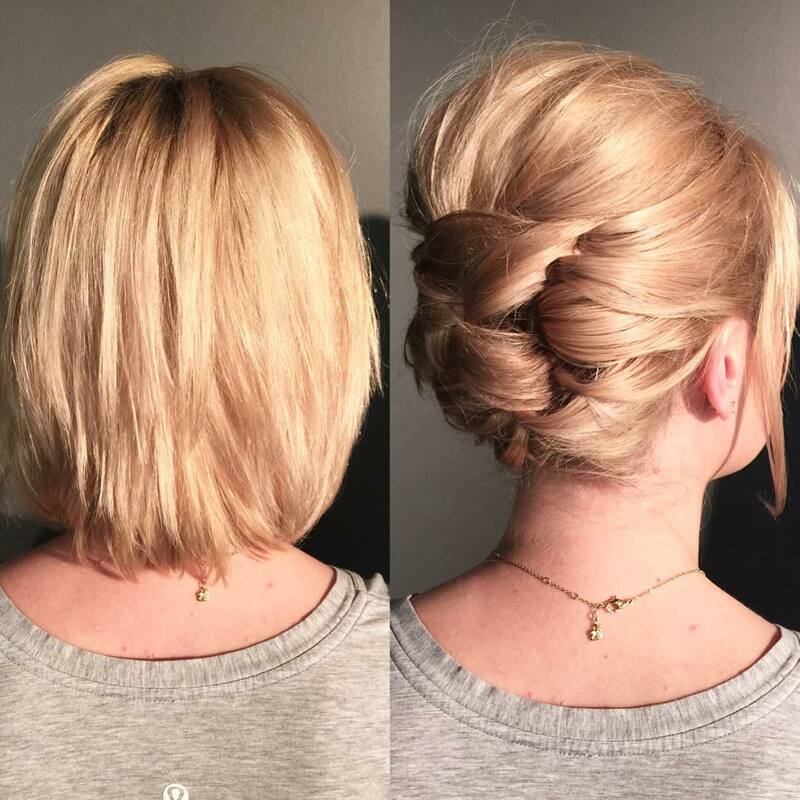 Simple but highly fashionable, this short ash-blonde prom hairstyle could be the perfect look for you! It’s cut very short around the ears and has a strong asymmetrical slant that suits lots of face shapes. The cute flat braid adds a party-detail to a simple cut with clean lines. And the highly-stylish blend of beige and ash-blonde, with sharp razored tips, looks ultra-modern and super-hip!